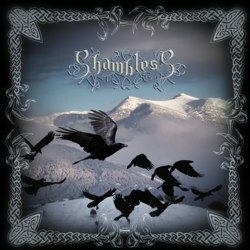 Bulgarian atmospheric folk black metal band Shambless, the solo project of Arvelss Elfaros, have just announced the release of their 4th full-length album ”Irke Ranefas“. The album is based on a deep fantasy concept, depicting an ancient elven world. All the lyrics in this act are sung in Sindarin (elfish) language. The band has already revealed the tracks “Ion In Erain” and “Am Meleth Din” from the upcoming album and you can listen to both of them in their official Facebook profile. The album was recorded at “Come To Sin” studio in Bulgaria by Nick Velev. “Irke Ranefas” will be released this summer via the Argentinian label Furias Records / Orion Music Entertainment. Arvelss has also recently started a new atmospheric pagan folk project called Fanfar, based on Icelandic mythology. More info will follow soon.